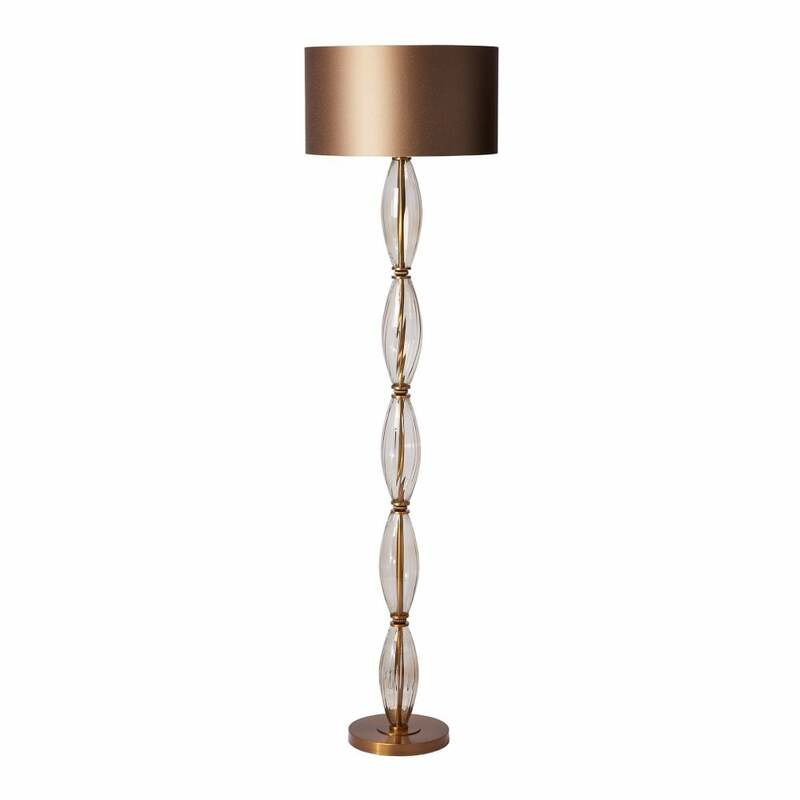 The Freddi Floor Lamp by Heathfield & Co features beautiful brass detailing and a gilt satin shade. The on-trend brass base is complemented by skillfully crafted smoke glass curves. Tall and elegant, the intricate lamp has a timeless glamour that will suit both contemporary and traditional interior schemes. Style with soft greys and dark wood for a classic and sophisticated design. This lamp will make a subtle statement in a living space or hallway. Also available as a table lamp. Make an enquiry for more information.